The pair made their way casually to the northern districts of rukongai. They had settled down immensely since the Vandenreich invasion and were now at peace. Or at least the districts had returned to their old state of being. They certainly were a rowdy bunch in certain districts, but that was the way it always was. No matter where one looked, the Soul Society or the World of the Living, there would always be violence and chaos. It was just a matter of containing it as much as possible and not allowing it to spread. Conflict was not necessarily a bad thing, it allowed the public to relieve their stress in a quick and efficient matter. It was only when this conflict spread to a large scale that it became an issue. However, he was here to train, not to discuss semantics with his inner self. The two stopped in a large, dusty wasteland towards the far north of the, well, north. It was a rather unknown desert valley that was kept in the shadow of the mountain range that bordered the far northern borders of rukongai. It was also a favorite training spot of Tenkai's from when he was much younger. Several hundred years ago this is where he preferred his teachers take him when they had their private training session. It allowed him to cut loose with what power he had without having to worry about repercussions. It also allowed his teachers to go all out with teaching him for the same reason. It certainly gave him a leg up on the other students for multiple reasons. The most obvious reason of course being that he received private training sessions. That, and being able to train without restraint would allow him to excel rapidly. Now here he was, with Takahashi-Sensei, ready to train in the same manner that he had done before. He would be able to cut loose and use his full power to train. Something that now that he was much older, and much more powerful, would actually mean something. "So Tenkai, what did you want to learn first. Our second time around training, you'll be able to make the decisions. I will help you learn whatever you wish, you simply need to ask." Tenkai turned to face his mentor and thought for a moment. There were many kidou that he hadn't learned, some easy, some advanced. He wanted to learn hadou though, some more advanced ones as well. He wished to pick up from where he had left off so long ago and advance his skills further. The first hadou on the list he wished to learn was number seventy three, Soren Soukatsui. It was a rather powerful hadou that, with the necessary amount of power and skill, could be devastating. There were of course hadou that were stronger, but this would be a starting point for his furthering of talents. "Takahashi-Sensei, I would like you to teach me Soren Soukatsui. Please if you could, demonstrate its use so I may replicate it and make it my own." Nodding, Tenkai's mentor turned to the north facing towards the mountain range before them. The mountains would be there targets as they could withstand the substantial force of the kidou. That was of course just speculation though, they had no real way of knowing if they would blow a hole clear through them or not. This would be especially true as they progressed onto more and more powerful kidou. But for now, they were where they were and would train how they could. Takahashi-Sensei held his right hand out towards the moment with his palm open. He bolstered his arm with his left hand and began to charge a brilliant blue orb in the palm of his hand. As he did this, he began to chant the incantation that went hand and hand with the hadou. "Ye lord. Mask of blood and flesh, all creation, flutter of wings, ye who bears the name of Man. On the wall of blue flame, inscribe a twin lotus. In the abyss of conflagration, wait at the far heavens. Hadou number seventy three, Soren Soukatsui." From the palm of his hand the blue orb exploded violently into a massive, bright blue beam of energy. It rocketed forward travelling through the air until it slammed hard into the mountain creating a tremendous explosion. A shockwave was sent through the air from the power of the kidou erupting creating a dense wave of air that ripped across the grand wasteland. Tenkai moved his hand over his face to protect himself from dust as the wind kicked up much dirt and debris from the ground below them. After a few moment the shockwave died down returning their surroundings to their previous state. Tenkai allowed his arm to return to his side hanging where it was permitted. Turning his attention to Takahashi-Sensei he bowed his head slightly before turning his attention back towards the mountain. A small crater could be seen in it from the distance they were at. Up close it was sure to be much larger, a testament to his mentors power. "Takahashi-Sensei, you have no lost an ounce of strength since our days at the academy. Your are still the kidou master that I knew so many years ago." "I see you are still the flatterer you used to be. Your manners are only matched by that mischievous streak you have as well. Hopefully you have outgrown the latter though." Looking down at the dirt he smiled briefly as he was reminded of the childish demeanor he once had. He was quite the troublemaker as a child, though he presented himself as polite and mannered in public. Then again, he was under the care of his parents when he was younger. His father, though loving, was always very strict with him. He had great expectations for Tenkai, which was expected considering who his father was. As a Captain, and one of the first Captain's of the Gotei Thirteen, he had quite a legacy to live up to. His mother though, was not quite as hard pressed to thrust greatness upon him. She was the ever doting mother, making sure Tenkai was well taken care of and loved. Together, he felt he had the perfect parents he could ever had. His fathers stern, but caring hand, and his mothers unending well of love. He was a blessed child to have a family as he did. He missed them greatly, and would most likely always miss them. The hardest part of it all was the fact that his father was still alive, just not accessible so to speak. He was a member of Division Zero, the most prestigious and powerful group of shinigami. They resided in the Spirit King's realm and never came down unless their was a true emergency that threatened the existence of the Soul Society. They had last been seen three hundred years ago and that was the first time they had come down in a great many years according to his father upon their last talk. For a time though he could live with it, when his father left he still had his mother to care for him. But, as the years carried on she eventually grew weak from illness. In time she passed on leaving Tenkai and Hayashi, his brother, to their lonesome, for a while at least. They were the child prodigies of a great noble clan and with quite a legacy to live up to. The weight of the world had been thrust upon them and they had no choice but to carry it. "Tenkai? Are you alright?" Snapped from his memories, Tenkai realized that he was still standing amidst the wastelands of northern rukongai. Takahashi-Sensei was looking at him curiously as he had apparently dazed off and started to day dream. His past always dwelled in his mind and returned when he least expected it. He had to train now though, hopefully that would keep his mind off of his parents. Hopefully it would keep his mind off of any reminder of his past as well, as remote of a chance that is. Sighing, he walked up beside Takahashi-Sensei and held his right hand up towards the mountains that stood tall before him. It was time for him to try and emulate his mentors movements and actions and see if he could replicate the same results. Gripping his right arm with his left hand he took aim and began to charge up the necessary energy. The brilliant blue orb that he had seen in Takahashi-Sensei's hand now appeared in his own and rapidly grew. It was second nature to him to control his reiryoku and gather energy now. This was the easy part, the hard part was actually firing the kidou and not having it blow up in his face. Hopefully his raw talent would be enough to sway lady luck from doing such a thing. Reciting the incantation word for word he prepared to fire the blast and try his luck. "Ye lord. Mask of blood and flesh, all creation, flutter of wings, ye who bears the name of Man On the wall of blue flame, inscribe a twin lotus. In the abyss of conflagration, wait at the far heavens. Hadou number seventy three, Soren Soukatsui!!" A success of the first shot was apparent as the gathered energy shot from the palm of his hand in a massive beam. The bright blue beam of light was less controlled, but more powerful then that of his mentors and ripped through the air colliding with the mountainside to the north. The explosion could be felt through the ground as the mountain trembled anxiously as it tried to withstand the bombardment of Tenkai's might. The great mountain stood tall as the explosion subsided sending a shockwave across the wasteland once again. The wind kicked up dirt and debris once more creating several small dust devils that swirled around briefly before dying down once again. Slowly, the wind died down once again, allowing the surroundings to return to their previous state of rest leaving a victorious Tenkai standing beside his mentor. "I guess I don't need a charm anymore. So much for third tries. What say we move on to the next hadou now Takahashi-Sensei?" His mentor turned to his old student being quite apparently impressed with his efforts. "Well done Tenkai, well done. Never resting as well, just as you've always been. What kidou would you like to learn next?" "A powerful one that even you would be reluctant to teach me. Hadou number eighty eight, Hiryugekizokushintenraihou." Takahashi-Sensei's brow lifted at the name of the kidou that Tenkai spoke. It was an incredibly powerful kidou that few in this current day knew how to use. It just so happened that his old mentor was one of those few people. His expertise's in the field of kidou were matched by few. Even in his old age his abilities were more then powerful enough to be considered amongst the Captain's. As far as Tenkai knew though the old man had never attained his bankai. Though he never had much of an inclination to considering what he wielded already. If he was to duel one of the current Captains, the only thing that would slow him down was his age. His mastery of the arts was incredibly vast and honed with skill. He was after all one of the founding members of the Kidou Corps. He had been the first Vice Commander of the Kidou Corps after being established. It was something he did not wave around, titles meaning little to him above actual respect. But it was something that held a great deal of prestigiousness for those who knew. This was one of the reasons that Tenkai held him in the utmost regard. He was one of his greatest mentors, holding a place with the best of the teachers he had ever had. That, in Tenkai's mind, truly meant something considering who had taught him along his road to becoming a shinigami. His father had always given Tenkai a guiding hand, having trained him in the art of Zanjutsu since he was a child. It was their families specialty after all and the Bushinji's gave the Soul Society some of the greatest swordsmen in history. While his father had also tutored him in the other arts it was mainly his current skill with a blade he praised him for. He had of course learned what kidou skills he had from Takahashi-Sensei, putting him a step above many shinigami when he had entered the Gotei Thirteen. And of course, how could he forget the man that acted as his father figure after his own father had left, Jyuushiro Ukitake. He had been good friends with his father, considering they were both members of the first generation Captains. Though his father was somewhat older, they got along quite well and found the company of one another pleasurable. Tenkai could often remember Jyuushiro coming to visit their manor as a guest of the family. He would often play tag with his white haired mentor, though he could never remember winning. But it was all in fun, back when Tenkai still had his childish naivety and innocence. It was most likely these factors that resulted in Jyuushiro treating him as he did when Tenkai's father left. He would often come to visit to spend time with him and his brother to keep them company. He trained the two of them as well in the shinigami arts. Though never members of his own squad, he treated them as though they were. No, their relationship was stronger then that, it was if they were a family. It was as though they had a father once again, and Jyuushiro had gained two sons. Though this was all short lived as he perished in the battle against the Vandenreich. That was nearly three hundred years ago and the memories still brought pain to him. So much pain was buried deep in Tenkai. His rough exterior kept it at bay, leaving no trace to anyone the kind of suffering his past had brought him. Only those who were closest to him knew the experiences he had gone through in his life. But these experiences were also what helped forge him into the man he was today. Strong, brave, proud, and with an infallible moral code. He strived to be what a shinigami was meant to be, and he believed he had accomplished it. From his thoughts, Tenkai was brought back to reality realizing what felt to be hours in his mind were only moments in actuality. He was unsure if Takahashi-Sensei had given him a response but would get an answer in moments to that very question. "I see, so you were truly seriously about improving your kidou capabilities. That particular hadou is of a much higher caliber then any others you have learned. It's power is vast and requires a truly skilled individual to master it. I believe you have the potential to master it, but do you have the patience to see it through. This will be much harder then anything I have taught you before." Tenkai paused for a moment giving thought to what his mentor had said. It was true what the said about this particular kidou. Though there were ones that were stronger, they were few in number. He of course was alluding to the number ninety kidous, the two or three that were in existence. Aside from them, this was the most powerful kidou in use by shinigami. It's power was exclusive to only the Captains as they were the only ones with the power necessarily to actually wield it. Aside from them, only the most talented kidou masters would be capable of perfecting this technique. Tenkai would mark himself among their ranks and learn this powerful kidou as well. He knew he had the power and skill necessary to master it. It was as his mentor said, did he have the patience to truly perfect it. He was here in the spirit of improving himself and attaining a higher plain of strength. To that end, he would stay his course and make himself the most powerful shinigami he could possibly be. "I am ready Takahashi-Sensei. Let us begin the training." Nodding to his student, Takahashi-Sensei prepared to demonstrate the kidou as he had done with the previous one. He bolstered himself more so actually taking up a stance to fire this particular hadou. His right arm was faced out towards the mountain once again with his palm open. His left hand found its way to the forearm of his right arm and gripped it tightly to steady himself for the recoil. In the palm of his hand a blue orb slowly began to gather and grow exponentially. The energy gathered and fluctuated violently, sparking outwards with its raw power. It was nearly at the apex of its power as Takahashi-Sensei called out the name of the hadou and fired the powerful blast into the skies before them. "Hadou number eighty eight, Hiryugekizokushintenraihou!!" All at once the energy was released into a beam of energy the likes of which Tenkai had only seen a handful of times in his entire life. Its power was immeasurable as it rocketed through the atmosphere singeing the air itself. The blast collided with the mountain creating a roaring explosions that ripped chunks of dirt and stone alike from the face of the mountain. Debris fell from the sky around them as a powerful shockwave blasted towards them creating a roaring wind. Dirt and dust was kicked up and ripped through the wasteland in the wake of the powerful blast. Tenkai protected himself from the violent dirt carrying winds by cloaking his face with the sleeves of his haori. He waited several seconds as the wind slowly died down causing the wasteland to lazily return to its state of lifelessness. A minute had passed before their surroundings returned to normal leaving no trace of what had happened other then the massive scar that now appeared in the cliff face. "Truly magnificent Takahashi-Sensei, truly magnificent. You must be one of the most talented kidou users of our time. Let this mountain be a testament to that power." "Yes, well, I do believe I'll take a seat now. Though my power may not have waned at all, my age has certainly slowed my body. I'll just take a moment to rest while you try it yourself." Glancing to his right, Tenkai observed his old mentor slowly bringing himself down to the ground in a sitting position. He hung his head low in front of him most likely exhausted from the efforts. The man was very old, being elderly when Tenkai had still been a student. He had to have been at least a thousand in age, perhaps even older. For him to be one of the founding members of the Kidou Corps means he had been quite powerful at that time as well. To have seen him in his prime would have truly been a magnificent thing. Smiling softly, Tenkai left his mentor to rest as he prepared to practice the hadou himself. Taking up the same stance his mentor had, he prepared himself for the power he was about to unleash. Concentrating his power, he began to condense his reiryoku in the palm of his hand. It began to gather forming into the blue orb of energy he had seen only moments ago. He could feel the power radiating through him as the orb devoured his reiryoku not yet being at nearly half of its full strength. Tenkai almost feared how strong this blast could be if he was not able to properly control it. If it went off prematurely, it could be incredibly dangerous for himself and Takahashi-Sensei. Steeling both his body and will, Tenkai placed all of his focus on performing this kidou as perfectly as he could. He would not fail, he could not fail. He had something to prove here and would not allow himself to be proven wrong. Taking aim at the face of the mountain, he prepared to fulfill that which he had set out to do. "Hadou number eighty eight, Hiryugekizokushintenraihou!!" From the palm of his hand the blue orb exploded creating a massive beam of energy that was even larger then that of his mentor. Though his skill with kidou was not nearly on par with that of Takahashi-Sensei, he was sure his reiryoku reservoirs were much larger then his mentors. Watching the blast soar through the air, he could feel the raw power emanating from it as it scorched the sky. The blast next collided with the mountain creating an explosion that shook the pillars of the heaven themselves. He could hear the the roaring of the blast echo across the skies as a shockwave was once more created with enough force to nearly knock him back. The wastelands kicked to life once more as dust and dirt flew every which way. Shielding himself from the harsh winds he waited with temperance for the wasteland to return to its lifelessness once again. A minute had gone by before the environment around him began to return back to its previous state. Allowing his hands to return back to his sides he observed the mountain which they had devastated in the course of the afternoon. It had been heavily scarred and now looked like a shadow of its former monumental glory. It would forever stand as a reminder of their power though. 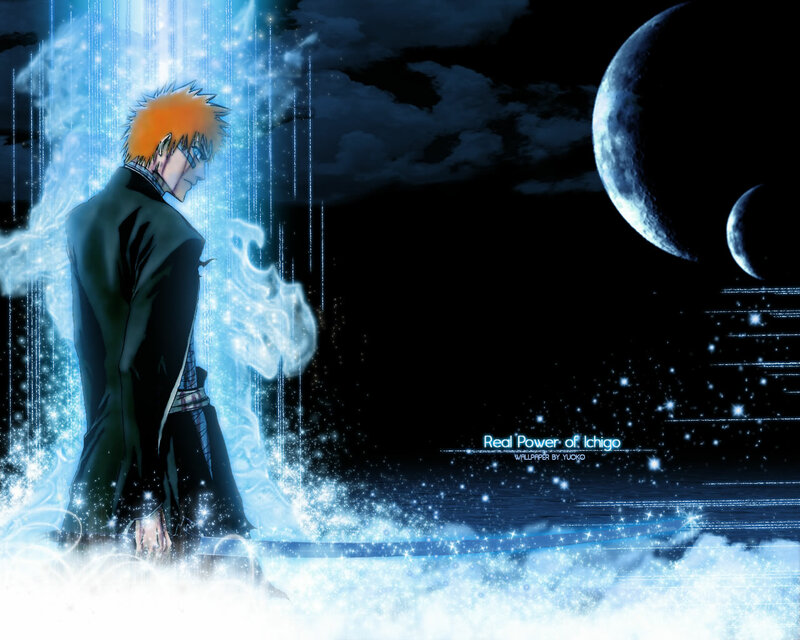 The great power that the shinigami wielded and the devastation that it could cause. Moving beside his old mentor, he knelt down beside him and shook him gently by placing his hand on his shoulder. "Takahashi-Sensei, are you awake? I've completed the training so we can conclude our session for today." "Hmmm? Oh, oh yes. Sorry about that, my stamina is not what it used to be. I find myself getting more and more tired everyday." "It's quite alright Takahashi-Sensei, only do what you can within the power that you have. You are powerful, but no amount of power can defeat time. Please go back to your home and rest for the day, do not push yourself." Helping his mentor to his feet he stepped back a small distance as the old man dusted himself off. "Yes, a nap does sound good right about now. I can see myself back though. I am sure that you have many duties that you need to attend to with your new rank and responsibilities." Laughing lightly, Tenkai knew this fact was true. He had only recently been promoted to Captain and had not really been with his squad for too long. He had only stopped in long enough to take the haori into his possession and settle into his office. "I suppose your right, I haven't even introduced myself to the squad yet. There's still a lot for me to take care of. I'll stop back in to see you in a few days though Takahashi-Sensei. By then I should have my squad in order and everything organized." "That would be just fine, I look forward to it Tenkai." Bowing to one another, Tenkai watched as his old mentor made his way off into the distance disappearing into the tree line of the forests to their south. He had a long walk ahead of him, or so he thought at least. Perhaps he could knock out some more training while he was here. Get a few low level bakudou out of the way that he wanted to learn as well. He didn't particularly use them, nor did he actually know any of them. He had always preferred using hadou, the more offensive type of kidou. It was more his speed, his style, to just rush in with guns blazing. He had always been that way and it suited him well. Raw offensive power and brute strength, defeating ones opponent before they had the chance to make a move. That was how he fought, and he had yet to meet an opponent that he couldn't defeat using that strategy. But, a few defensive abilities could always be useful and help him in the long run. He had his eye on two bakudou in particular, Shitotsu Sansen and Enkosen. The first was a binding spell which did just that, binded the target. The second was a defensive bakudou that created a shield to protect the caster. Both of them could be useful in the right situation, though he couldn't see when he would ever need to bind an opponent. It seemed a waste of time unless they just would not hold still of course. Sighing, Tenkai decided to try and knock the two kidou out of the way while he was still here. He wouldn't be in the mood for it once he got back and would most likely wait until he was with Takahashi-Sensei again. Also, if he was going to be training with the old man, he doubted he would use his valuable time to learn some low level bakudou. If anything he would want to continue learning high level abilities with his old mentors knowledge. His own knowledge sufficed to learn some standard academy level bakudou. He would start with Enkosen, the one he actually cared about learning out of the two. It was the more useful, in his own opinion out of them as well. From what he understood, using the kidou was rather basic. It was just the simple matter of condensing ones reiryoku and then creating a shield from it. Since he was more then adept in controlling his reiryoku it would be a breeze to accomplish this simple task. Holding his hands out before him he began to gather and condense his energy into a small orb. He was going to try and have it explode outwards rapidly into the shape he desired and then condense it right at the moment it reached the size he desired. "Bakudou number thirty nine, Enkosen!!" Following the plan he had designed to the tee, he allowed the gathered reiryoku to explode outward in a thin, circular shape. Condensing it at the proper moment it formed into the shield that he desired it to be. He could easily maintain it by simply holding his hands in front of him and concentrating on the reiryoku stability. It could be more dense to protect against stronger attacks, but the shape and function was down pat. He would just need to pour more reiryoku into it when he actually used it in combat. "Easy enough, now on to the next one." The next bakudou on the list was Shitotsu Sansen, the binding bakudou he wanted to learn. It was moderately powerful and the strongest that they were taught at the academy. Granted, he hadn't learned it while he was there, but he learned other hadou that students would have never learned. Having been taught hadou up into the sixties while still an academy student more then made up for his lack of bakudou. But he had to actually learn it now, not speculate on why he never learned it in the past or why he thought bakudou was useless. From what he understood, it functioned similarly to any other bakudou other then two or three of them. It revolved around condensing ones reiryoku and using it to fire projectiles that, instead of harming, restricted the target. Holding his hands up and aiming them at the ground a few meters ahead of himself, he began to prepare. Gathering his reiryoku and focusing it around his hands he began to recite the incantation of the bakudou. As he continued with the incantation he could feel the power in his hands multiply over as it became stronger. Focusing further to try and concentrate this energy, Tenkai finished the incantation and yelled aloud the name of the kidou. "Bakudou number thirty, Shitotsu Sansen!!" From his hands three small yellow triangles began to form and spiral into a, ironically, triangular formation. The triangle of triangles shot from his outstretched arms and shot into the ground before him digging in deeply. He imagined that it might actually hurt being impaled by the bakudou. Though from what he knew it was supposed to be painless, though he was doubting that highly. But whether it hurt or not was not anything that he particularly cared about. He had learned the kidou rather quickly and doubted he would use it anytime soon. For the time being, his job here was done and he was ready to head back to his barracks. Turning to the south so he could return from whence he came, he paused for a moment. A hell butterfly came in yielding a message for Tenkai. It had come from his friend Sansuka, he desired his company for some reason or another. He wished to meet in a remote location which meant that it could very well mean the purpose of the message was for training. He supposed his squad could wait a little while longer as he went to see what his friend wanted of him. Sighing into the cool evening air, Tenkai vanished in a blur as he shunpoued to the location where Sansuka would be waiting for him.